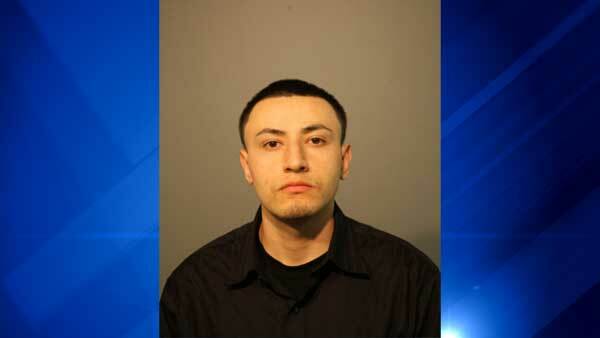 CHICAGO (WLS) -- Jose Estrada, 24, was charged in a hit-and-run crash that killed two men crossing the street in Chicago's Hermosa neighborhood on the West Side. Ramon Cruz, 35, and Pablo Vega, 56, had just left their jobs at the Jimenez grocery store in the 4300-block of West North Avenue shortly after 10 p.m. Saturday night when they were struck. Police said the speeding 2002 Buick that hit them didn't stop until it crashed into three parked vehicles two blocks away. The driver was taken into custody at the scene. Estrada, of the 1200-block of North Kedzie Avenue, was charged with two counts of aggravated DUI resulting in death and two counts of misdemeanor DUI. He was also cited for failure to reduce speed. The 24-year-old man is due in bond court on Monday. 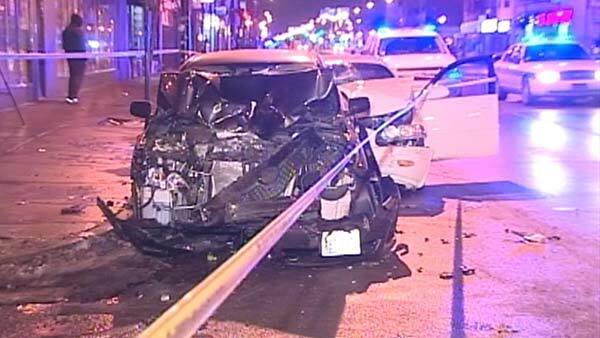 Two men are dead after a hit-and-run crash along North Avenue in the city's Humboldt Park neighborhood, police said. Both victims are originally from Mexico, but had lived in Chicago for several years. Cruz leaves behind his two sisters and his parents. Vega is survived by his wife and five grown children. "He's a very nice guy, very quiet. He lived with two of his sons, a very nice guy, I'm feeling very bad. I don't believe it," Store Manager Alfredo Jimenez said of Vega.